The Uccelliera estate was at once part of neighboring Ciacci Piccolomini until 1986, when winemaker Andrea Cortonesi purchased it from his friends and former employers. After refining his trade as cellar master for Ciacci, Andrea ventured out on his own with the formation of Uccelliera. His first vintage was 1991 with the production of a mere 500 bottles! The wines have quickly become cult favorites amongst the cognoscenti. 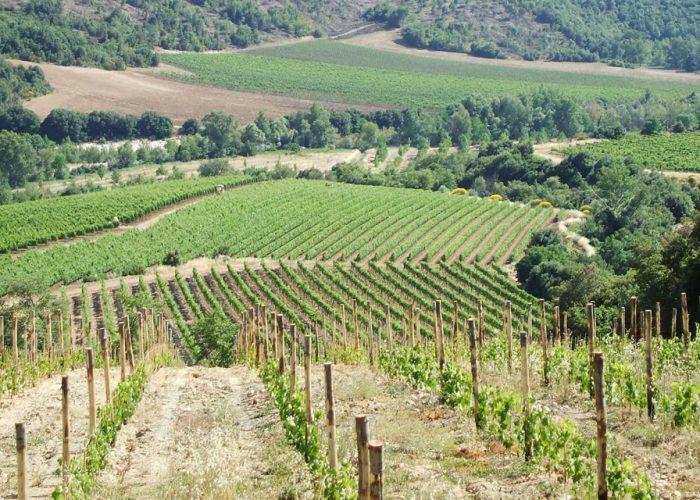 Tucked away in the southeast corner of the appellation in Castelnuovo dell'Abate, the soil here is loose and stony which when coupled with a warm microclimate gives the wines of Uccelliera a rich and ripe expression, vintage after vintage. Two hectares adjacent to Ciacci's famous 'Pianrosso' vineyard were recently added to this boutique estate, bringing the total to a mere six hectares. Andrea Cortonesi is tireless in his approach to winemaking, with all vineyard work done exclusively by hand. The wines from this estate regularly sell out; often times even before they even hit our shores! In addition to Brunello, the Rosso is very limited production and features an unusually powerful nose and ripe, rich fruit. Also available is the new 'Costabate' bottling. This 100% Sangiovese is produced from a selection of grapes from three different vineyards with completely different microclimates, and is a pure expression of the Castelnuovo dell'Abate terroir. Only 300 magnums produced. Rounding out the lineup is the tiny-production Super Tuscan, "Rapace", which is a blend of 70% Sangiovese, 20% Merlot (late harvested), and 10% Cabernet and aged in barrique. Wine Spectator 98 "Asphalt and tar on the nose, with lots of dried dark fruits. Full and very powerful, with layers of chewy tannins and masses of fruit. Really needs time to mellow and come together. But it's all there. A blockbuster. Balanced and fabulous. Best after 2012. 500 cases made. –JS"